Outdoor armchair with full arms and a rounded back in Java Weave. Designed for contract use and held in stock for a 2-3 working day lead time. Free UK delivery. 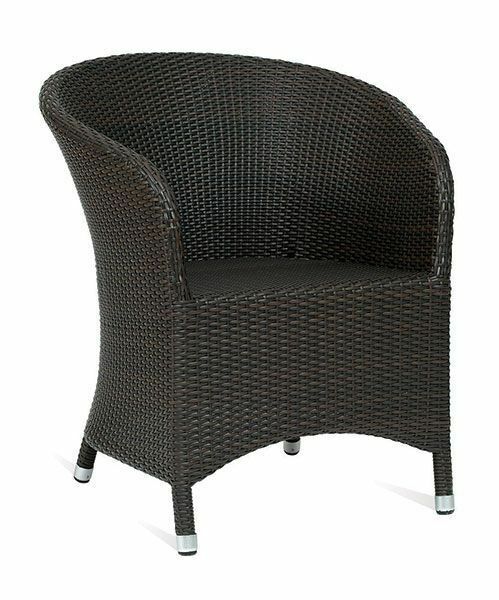 Stunning designer weave armchair with round curve back and a sturdy aluminium construction.